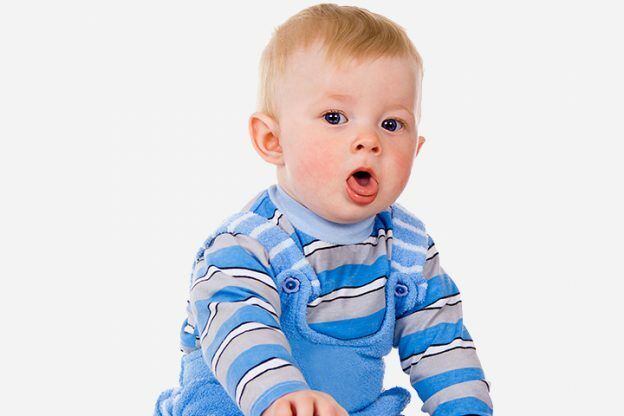 The onset of cough is very common in babies. If you are a new parent, it is quite common to panic at every sneeze and nose block of your darling. This does not mean that you have to rush your baby to a doctor, treating it like an emergency. Dealing with normal forms of cough at home becomes easier, when you are aware of the home remedies that are effective. We have collected the best ones for you in this article. 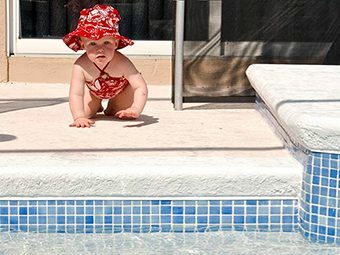 Over the years, simpler measures at home have helped find better relief in babies as compared to over the counter drugs. These are basic ideas that can offer relief, very effectively. A warm steamy bath is the best solution for a nighttime continuous cough. Create steam in the bathroom and give your little one a warm bath in the baby tub. Let your baby play in the tub for a while as he inhales the steam. For more effective results, add few drops of menthol, eucalyptus or sage oil in the humidifier or bath tub. This would definitely open up the chest and soothe baby cough. Ensure the essential oils are from a trusted brand. Vapor rubs are for babies who are 3 months old and above. Purchase the baby vapor-rubs, which contain mild formulations of eucalyptus and menthol. Gently rub small amount on your baby’s back, chest and neck. Allow him or her to breathe the vapors that emanate from the rubbing. Make sure you do not apply the rub anywhere else on the body. Some people also rub the formulation on baby’s soles. You can try that one too! You can also prepare your own chest rub using a drop of each peppermint, eucalyptus and sage oil in 2 tablespoons of organic olive oil. Once your baby is settled after managing the cold, it is important to focus on his diet. Ensure your baby takes a lot of fluid diet, as dehydration can set in due to constant cough and sneeze. Prepare yummy options like soups and smoothies that your baby will relish. Most times, babies may not have appetite. You have to ensure that your little one takes in some diet to stay relished and hydrated. Indulge your baby with warm bowl of chicken on mushroom soup as he battles cough. Juices are an excellent option too, but do not prepare pulpy ones; clear juices are best. Make sure the juice is prepared fresh and is not refrigerated. If your baby loves that soup diet, serve him or her in various flavors like boiled vegetables and cream, chicken broth, etc. Crushed basil leaves with honey helps reduce cough and running nose. Mild juice of ginger mixed with warm water and drops of lemon helps soothe the throat. Herbs like sage leaves, licorice root, slippery elm can be prepared into tea adding a dash of honey to relieve cough. It also works good for sore throat. These are some of the basic home remedies that can help cope with cough in your baby. 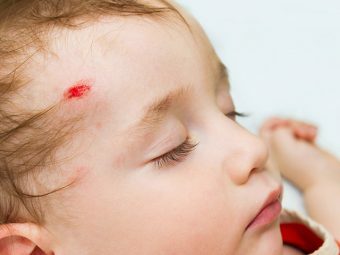 Your little one should be able to gain instant relief and comfort from the above measures. In case the condition does not subside in few days, give a call to your baby’s pediatrician. Moms, do let us know your favorite home remedies for how to treat baby cough at home! How Often Should You Change Your Baby's Cloth Diaper? 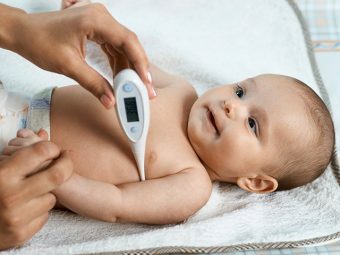 How To Check Baby’s Temperature Using A Digital Thermometer?